A lot has been going on. Luckily a picture is better than a thousand words so you’ll enjoy a quick visual catch up on club activities in the Gallery. Many thanks to Anne for supplying great photos of our cross country schooling sessions, Flowerhill, and our magnificent victories at the recent Audrey Jacob Team Challenge. 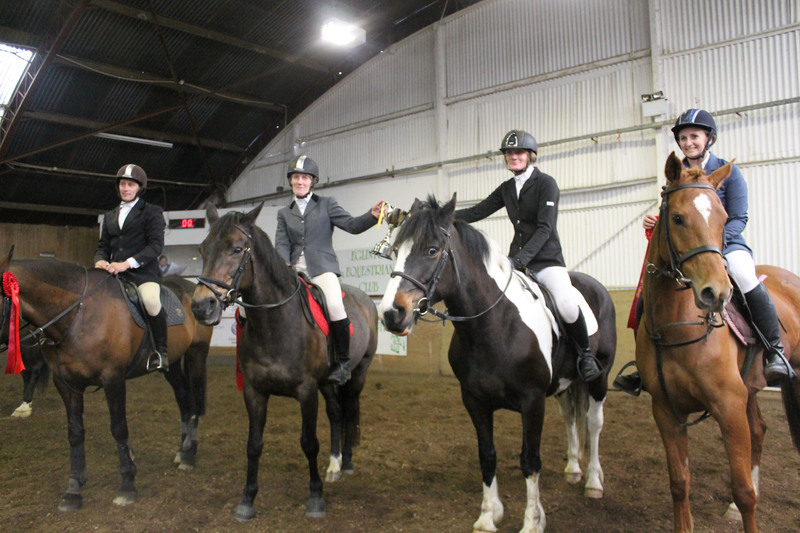 Pictured below: Our victorious show jumping team. Congratulations everybody. You did the club and Audrey proud.